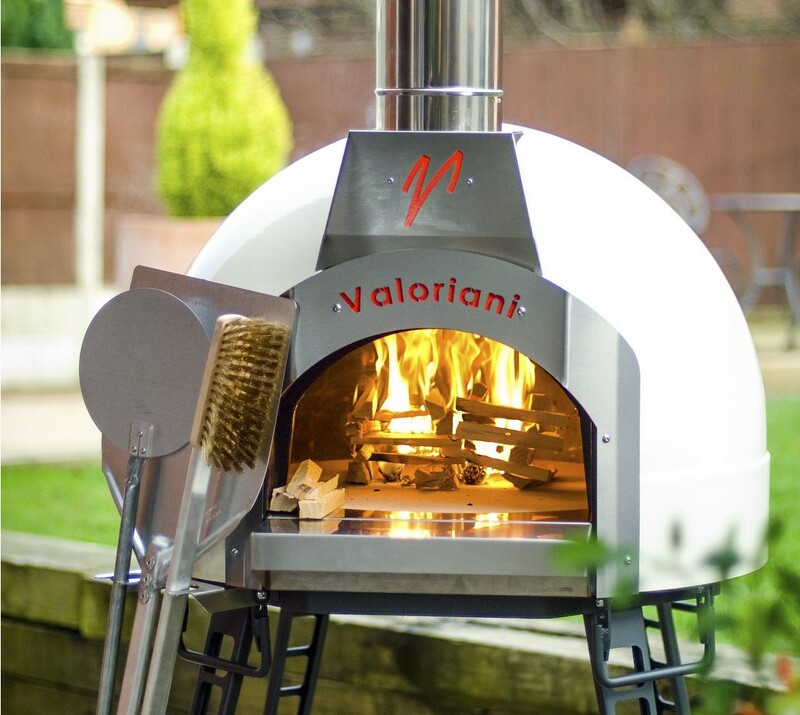 The Valoriani Fornino al Fresco UK 60 is the first ‘ready to go’ Valoriani oven supplied with a self-assembly metal stand with a ready to use oven. The al Fresco UK 60 is mobile and weather proof, ready for all al Fresco cooking situations. A stunning wood fired oven which cooks food with a real flame, giving an authentic taste and feel of the Mediterranean. The al Fresco is a fabulous entry into the wood fired oven market with a 3cm deep world leading Valoriani cooking floor and a 3cm thick handmade refractory clay dome. As with any small oven, the heat retention is not that of a bespoke build, but in tests, the heat retention qualities set it apart from all other small ovens on the market. By coupling exceptional build quality, looks and cooking capabilities the Fornino al Fresco is a truly desirable oven appliance. The al Fresco is a very versatile oven and cooks to perfection much of what is cooked in an electric or gas oven (including pizza) with the added benefit of the oven doubling up as a barbeque when using the Tuscan Grill (optional extra). The Valoriani Fornino al Fresco UK 60 can also be converted to run on gas as a cost option.